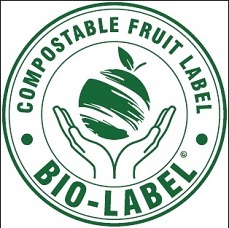 In October last year South African labelling company Label Pro, with offices in Nelspruit, Tzaneen and Port Elizabeth, launched a compostable fruit label, the Bio-Label. Andries Pretorius, managing director, notes high interest in the Bio-Label. “I do believe the concept will catch on that fruit labels should be compostable because it just makes sense, both practically and environmentally. As ethical manufacturers, it is our responsibility to research and develop alternative options in the packaging industry in order for us all to become more sustainable. Fruit Label Pro is proud to be able to pioneer this innovative packaging, and hopes that the rest of the market takes notice of what's available,” he says. The Bio-Label is endorsed by brands such as ClemenGold, who see the value added to their brand of an association with sustainable marketing and packaging practices. The food-safe Bio-Label, manufactured using material certified as “OK Compost” by TÜV Austria, is manufactured from cellulose rendered from wood pulp that is processed from sustainably grown timber plantations and isn’t currently offered by other labelling service providers in South Africa. Fruit Label Pro trialled the label for a year in the local industry before launching the tested product. Label Pro, which is looking to diversify into the Northern and Western Cape, manufactures high quality, full colour labels as well as blank labels and tags, and associated equipment, such as label printers and scanners that can deal with traceability and variable information requirements. They represent Israeli company Hadran Advanced Labelling Solutions in Africa. Apart from the automated and high-speed fruit labelling solutions offered by the company’s subsidiary Fruit Label Pro, the firm (established in 2006) also offers more budget-friendly solutions. At the moment their clients range across southern Africa, with most fruit industry clients in citrus and apple export. Their in-house design team assists clients with the visual aspect of their labels. Label Pro’s focus isn’t limited to the agricultural sector, but also the fast-moving consumer goods sector. 2019-04-11 "The Golden Delicious harvest in Ceres is a beauty"